Play the spookiest coin pusher ever! 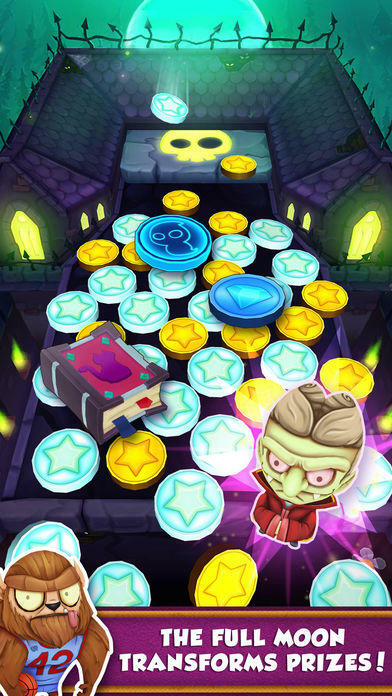 Coin Dozer: Haunted is easy to play and filled with Halloween fun. Simply drop coins, collect prizes, hunt ghosts, and survive the full moon to progress. Be careful not to push coins and collectibles off the sides of the graveyard. 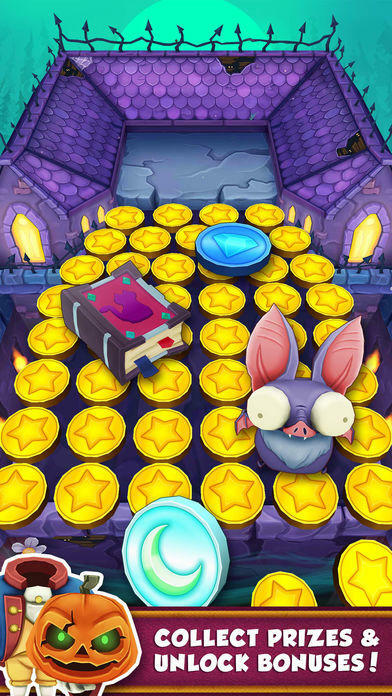 Special coins appear with magical powers and helpful boosts. Play the new ghost hunt mini game to earn rare treasures. Can you collect Dracula, the Mummy, Zombie hordes, and other legendary monsters? · Win spooky collectibles and creepy gifts to fill your undead cabinet and level up! 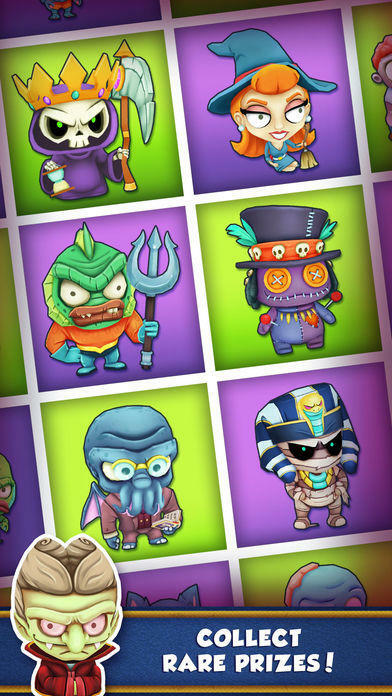 · Activate full moon mode to transform prizes into their legendary and ultimate Halloween forms! Drop gold coins onto the Halloween themed pusher, then doze them into a pile and over the edge to collect. 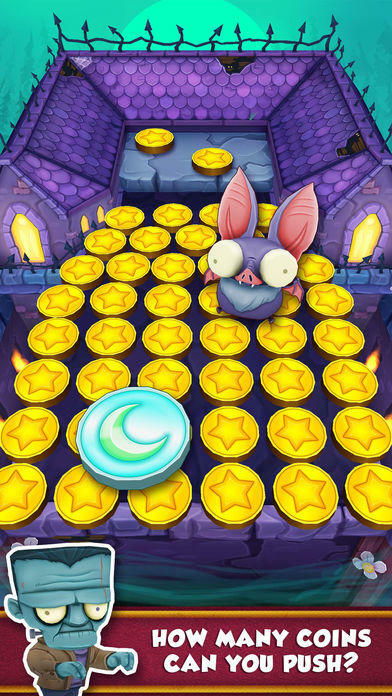 Shake the machine to release bats and earn even more coins quickly. Special coins appear and provide you with a helpful boost, including the new ghost coins and moon coins! Collect the prize and puzzle piece collectibles that spawn on the machine board to complete prize lines and unlock bonuses! Come back daily to spend your regenerated coins! Ghosts and ghouls are having a spooky party and you’re invited! 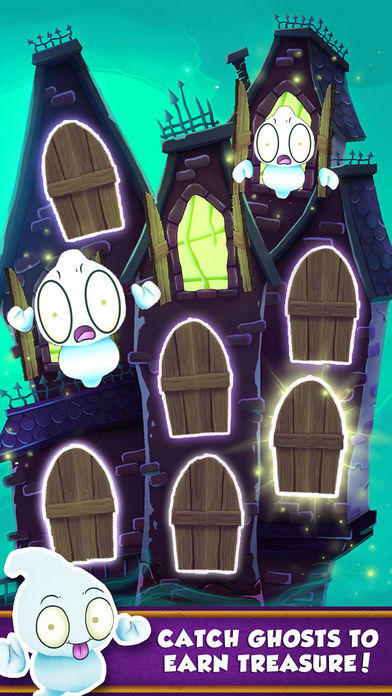 Find ghosts in our new bonus game; the more ghosts you can find, the greater your reward! There is mania everywhere as monsters like zombies, werewolves, vampires, and witches are roaming the graveyards until you collect them. But beware, strange things and rare prizes will appear when the full moon comes out in our new game mode. Use this precious time to find the legendary monsters such as the grim reaper or wolfman! Join the underground party and play Coin Dozer: Haunted for free!